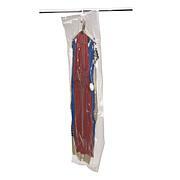 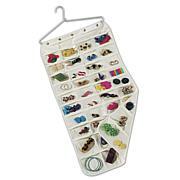 This hanging garment bag protects your best and finest suits and dresses. 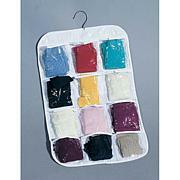 The sturdy, hanging bag is made of sleek, smooth cotton canvas which allows the air to reach your suits and dresses, thus extending the wear of your favorite garments. 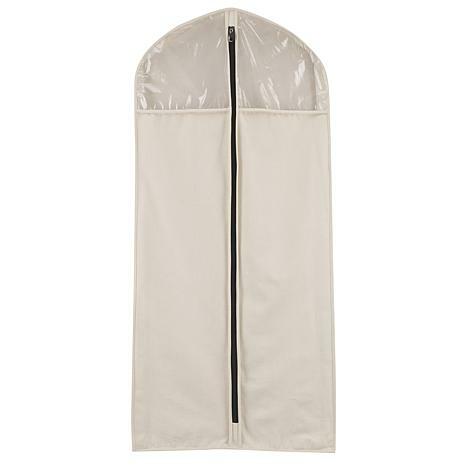 Designed to hold up multiple suits or dresses, this hanging garment bag is an instant improvement to the look and feel of your closet.